Poetry & Pie II was even better than we had imagined! There were so many wonderful people, poets, and pies. The weather was perfect, with the sunlight and breezes floating through the barn doors. Didi Jackson, Julia Shipley, and Ocean Vuong read beautifully, and had thoughtful answers to our audience questions. The sound of Taylor Mardis Katz' typewriter in the corner as she wrote poems was the perfect accompaniment. Clay Hill Flower Co. provided spectacular flower arrangements. Our family and friends helped us by doing everything we asked them to do, and more. The Norwich Bookstore stayed all afternoon to make sure everyone who wanted a book could get one. Special thanks go to Sweetland Farm; we can't imagine a more welcoming and perfect space than their barn, or more generous and enthusiastic hosts. And thank you to each and every one of you who attended, who read, who baked, who ate, who helped! We can't wait to do it all over again next summer! We're absolutely delighted to be sponsoring the 14th annual Burlington Book Festival, which takes place from Friday, October 12 through Sunday, October 14 at the UVM Alumni House and Silver Pavilion, and other downtown venues in Burlington, Vermont. This year's Festival features readings, signings, panel discussions, workshops, exhibits, lectures, Q&A sessions, demos, rare book appraisals, original theatrical productions, film screenings, musical performances, student presentations and the 12th annual Grace Paley Poetry Series, curated by Major Jackson. 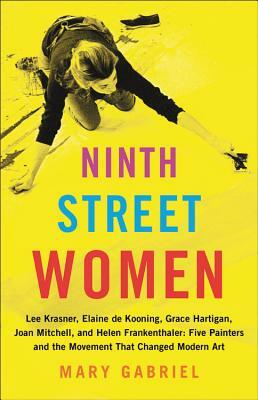 The growing list of participating authors includes Jacob Appel, Mary Jo Bang, Dan Chiasson, Joe Hagan, Maria Hummel, Mark Leyner, Reeve Lindbergh, Bethany C. Morrow, Sharon Olds, Audrey Schulman, Arjun Singh Sethi, and Bruce Willard. Eugene Jarecki, award-winning director of the film Why We Fight, will accept a Festival Honor at this year's Opening Ceremonies on Friday, October 12. Pulitzer Prize-winning poet Sharon Olds will give the headlining reading at the Opening Ceremonies on Friday, October 12. Internationally revered novelist Mark Leyner will make his first-ever Vermont appearance on Saturday, October 13. Saturday, October 13 also features an evening with director Eugene Jarecki. A benefit for the Festival, this ticketed event features Eugene Jarecki in conversation with the audience. Excerpts from his films will be screened and discussed, followed by an audience Q&A, a reception, and a book signing. Keep your eye here and on your inbox for more information about the Festival soon! In July and August, Poetry & Pie participants Julia Shipley and Didi Jackson generously shared their summer reading lists with us. "Summer's over!" you say? "Bah! Humbug!" we reply. Summer's a state of mind. Besides, just because it's September doesn't mean summer's over. And just because we call them "summer reading lists" doesn't mean you can't use them for reading inspiration any time of year. Take a look at their lists; you just might find the perfect distraction from all those colorful leaves. 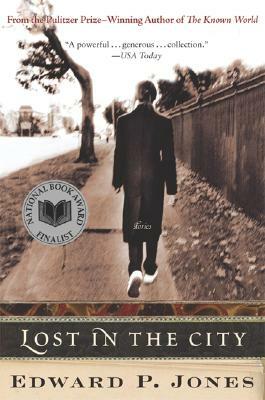 Speaking of summer, how are you doing with our summer Slow Club Book Club selection, Lost in the City, by Edward P. Jones? Do you have a favorite story from the collection? We'd love to hear your thoughts. We'll soon be revealing our final Slow Club Book Club selection for the year, so if you haven't joined up already, sign up now to get the scoop on the next book in mid September. The last book will take us leisurely through the rest of 2018, but don't worry, we're already working on ideas for next year's SCBC. We've done a lot in our second year, but we're not quite done yet... Circle Saturday, November 3 on your calendar. We have one more event up our sleeves, which we're tentatively calling a Fall Process Night. The evening will feature two amazing writers, lots of discussion about the craft of writing, and, of course, delectable snacks. We'll be revealing the details soon here and in our Twitter and Instagram feeds, so watch this space! Margi Rogal, Woon-Ping Chin, and Carolie Parker close this year's Joan Hutton Landis Summer Reading Series on Sunday, September 2. The reading takes place at BigTown Gallery in Rochester, Vermont, at 5:30 pm. Join poet Mark DeCarteret in celebrating the launch of his latest collection, For Lack of a Calling, on Thursday, September 6, at 7:00 pm, at Water Street Bookstore in Concord, New Hampshire. Rachel Lindsay launches her graphic memoir, Rx, at Phoenix Books in Burlington, Vermont on Thursday, September 6, at 7:00 pm. In honor of the 200th anniversary of the printing of Mary Shelley's novel Frankenstein, the Rauner Library at Dartmouth College in Hanover, New Hampshire, has a special exhibit called "Shelley's Frankenstein, In Text and Image. The exhibit is on view through Thursday, September 7, between 8:00 am and 6:00 pm. Bear Pond Books in Montpelier, Vermont, is hosting a wonderful reading called Rising Vermont Voices: Women Writers Showcase, which will be hosted by Chris Bohjalian and features Melanie Finn, Sarah Healy, Maria Hummel, and Robin MacArthur. Don't miss this fabulous event on Tuesday, September 11 at 7:00 pm. The AVA Gallery in Lebanon, New Hampshire, hosts the next The Mudroom on Thursday, September 13. This quarter's theme is "Life and Death." Doors open at 6:30 pm, when you can buy delicious Asian food by Pon. The performance begins at 7:00 pm. Buy your tickets online soon! These shows almost always sell out. The Vermont College of Fine Arts MFA in Writing & Publishing fall readings begin on Friday, September 15 with Rita Banerjee, Erin Stalcup, and Lizzy Fox. Other readings in the series feature Matthew Olzmann and Justin Bigos (October 5); Lesley Arimah and Diana Goetsch (October 26): and Sean Prentiss, James Scott, and Alexandria Marzono-Lesnevich (November 9), The readings begin at 5:30 pm in Cafe Anna, on the VCFA campus in Montpelier, Vermont. The 2018 New Hampshire Poetry Festival is happening at New England College in Henniker, New Hampshire, on Saturday, September 15. The day-long Festival features panels, readings, workshops, and culminates with a headliner reading by Linda Pastan, Ruth Lilly Poetry Prize Winner for lifetime achievement. This year's Words Out Loud series—which begins and ends in September—starts at 3:00 pm on Sunday, September 16 with readings by Burr Morse and Angela Patten. The series continues on September 23 with Karla Van Vliet and George Longnecker, and concludes on September 30 with Rick Agran and Elena Georgiou. All readings are held at Old West Church in Calais, Vermont. Vievee Francis kicks off The Fleming Museum of Art's Painted Word Poetry Series on Thursday, September 27, at 6:00 pm in Burlington, Vermont. The University of New Hampshire in Durham, New Hampshire, launches this season's Writers Series on Thursday, September 27 at 5:00 pm with poet Ada Limón, whose latest volume, The Carrying, was released in August. The reading series continues into April 2019 and features Kim Adrian, Peter Mishler, Joan Wickersham, Noah Burton, Jennifer Latson, and Benjamin Ludwig. The Amherst Poetry Festival kicks off on Thursday, September 20, with "Doughnuts and Death: A Baker's Dozen of Emily Dickinson's Most Depressing Poems" at West Cemetery in Amherst, Massachusetts at 7:00 pm, and from there just gets better and better. The Festival, which continues through Sunday, September 23, includes readings and performances in many locations around town; a garden party at the Emily Dickinson Museum; and the Emily Dickinson Poetry Marathon, a one-day reading of all 1,789 of Dickinson's poems. Need more convincing? Read Julia Shipley's fantastic account of last year's marathon. The Harvard Bookstore in Cambridge, Massachusetts hosts two wonderful short story writers this month: Catherine Lacey on Wednesday, September 5, for her recent short story collection, Certain American States; and Jamel Brinkley on Monday, September 17, for his collection, A Lucky Man. Margaret Atwood on the BBC Radio 4 Book Club discussing The Handmaid's Tale—both the book and television series—is well worth the listen. Registration is open for the New Hampshire Poetry Festival (September 15), which will be held in Henniker, New Hampshire. Speakers include Adrian Blevins, Robert Crawford, Sharon Dolin, Matthew Guenette, and Linda Pastan. For more information and to register, please visit the NH Poetry Festival website. The MacDowell Colony is accepting applications from artists and writers for their Winter/Spring 2019 Residencies in Peterborough, New Hampshire. The application deadline is September 15. For more information, please visit their Residencies page. The Good Fat Poetry Zine, which showcases poets from New Hampshire, the seacoast area, and beyond, is accepting submissions for its next issue. The deadline is September 15. For ore information, please visit their website. The Montshire Museum of Science in Norwich, Vermont, is looking for three storytellers to share their stories of "Experiments Gone Awry" at Montshire Unleashed (October 19). Stories must be true, personal, and told without notes in seven minutes or less. To be considered, submit your story idea to jennifer.rickards@montshire.org by September 17. The submission period for the annual Frost Place Chapbook Competition opens on October 1. The competition is open to any poet writing in English. The submission fee is $28. Submissions will be accepted through January 5, 2019. For more information, please visit the Chapbook Competition page. 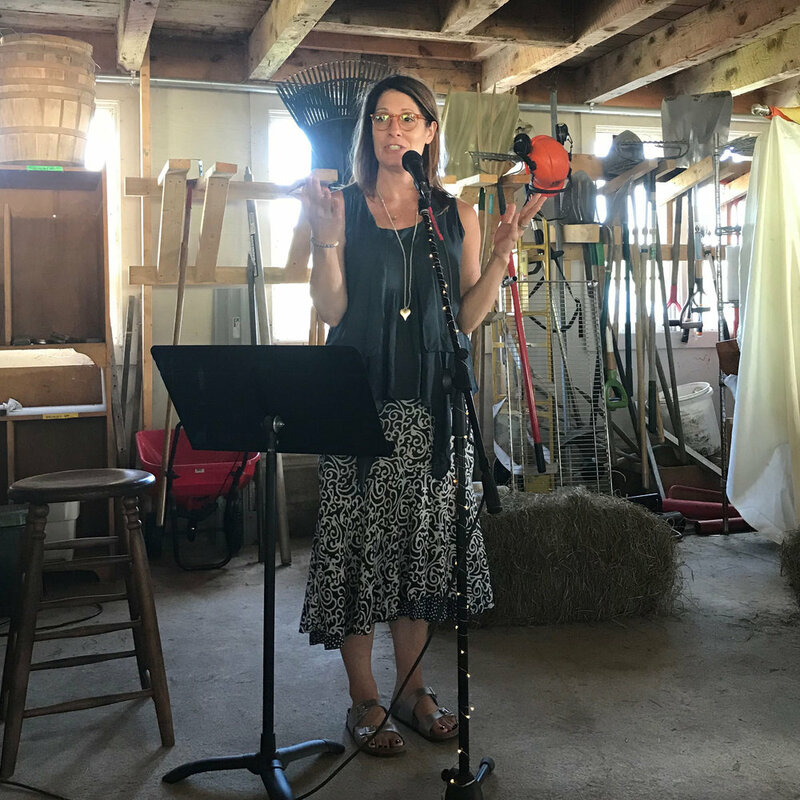 Join the Sundog Poetry Center for "Poetry & Food: Two Things the Mouth Loves," a weekend (September 14 to 16) of cooking and eating food intermingled with writing, reading, and reciting poetry at Fielder Farm in Huntington, Vermont. The weekend focuses on poetry that engages with food, while also exploring how food is laced with language, culture, and politics. The retreat features discussions, workshops, readings, and meals. $500 to $1000. A deposit of $250 is due at registration. For more information and to register, please visit the Retreat page. At AVA Gallery in Lebanon, New Hampshire, writer and sculptor Nina Gaby is offering two-day Dimensional Memoir workshop on September 15 and 29, from 12:00 to 3:30 pm. Participants will document a narrative in three dimensions: thought, text, and object. $130 for AVA members; $160 for non-members; $10 for materials. For more information and to register, please visit the Workshop page. Writer, performer, and multimodal maker J. Turk will lead a workshop called "Looking for Language," September 18 to 20, from 5:00 to 8:00 pm, at the AVA Gallery in Lebanon, New Hampshire. After a guided tour of J. Turk's "Unwearable Realities" exhibit, students will learn critical skills of reading artistic work, emphasizing the importance of critique and dialog. $150 for AVA members; $180 for non-members. For more information and to register, please visit the Workshop page. September 18 through November 6, join Rebecca Rule in an exploration of the art of the story, in a workshop called "The Gifts of Story: One Leads to Another," at the Plymouth Regional Senior Center in Plymouth, New Hampshire. By writing, telling, and sharing their stories, participants will build bridges to the people, places, and experiences that have shaped their lives. No previous experience is required. The class will be low-key, comfortable, and relaxed. Register early as class size is limited. For more information and to register, please visit the Workshop page. Dartmouth College in Hanover, New Hampshire, is offering a term-long Letterpress Intensive workshop, which will explore letterform drawing through design and printing of pages of an abecedary or alphabet book. During this workshop, participants will learn to draw and integrate letters with graphic translations of animal forms. The combined images will be cut onto linoleum blocks and printed on a proofing press. No printmaking or letterpress experience is required. An informational meeting open to all will be held on September 23 from 2:00 to 3:00 pm in Baker Library, room 21. For more information, please visit the Workshop page. Elayne Clift is offering a writing workshop at Village Booksellers in Bellows Falls, Vermont, on September 29. The workshop is called "Writing Our Way to Resistance." For more information, please visit the Events page. The League of Vermont Writers is hosting an event entitled "Other Paths to Publication: Independent Presses and Self Publishing," from 8:30 am to 5:00 pm on October 8 at Trinity Episcopal Church in Shelburne, Vermont. The day-long event features presentations by Sonja Hakala, Ed Vincent, and Bill Schubart; lunch; and genre breakout sessions. $42 for members; $62 for non-members. Registration closes on September 21. For more information and to register, please visit the Gatherings page. Jericho Parms is leading the Burlington Writers Workshop Creative Non-fiction Retreat in Burlington, Vermont, on November 11 (registration closes on October 28). For more information and to register for a retreat, please visit the Writing Retreats page.